Quay Concrete - Only pay for what you use! 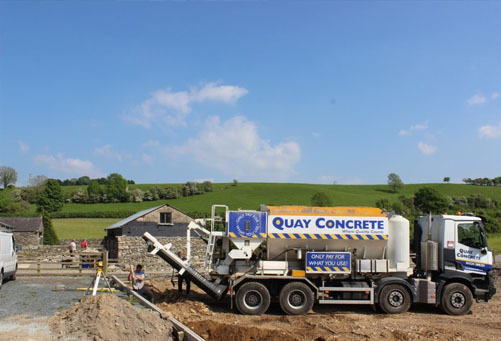 Quay Concrete provides you with high quality concrete throughout North Lancashire and the South Lakes, and allows you to Only Pay for What You Use! No Wasted Concrete, No Unnecessary Costs! We will supply you with high quality ready mix concrete as and when you want it. All of our Concrete is mixed on site allowing us to supply you with as little or as much as you need. We are able to provide a number of different, specialist mix designs on site from one truck, just give us a call on 01524 388251 to discuss your requirements. We also offer a Concrete Pumping Service! Or if you need a skip, please see our sister company THINK PINK SKIPS. You pay just for the amount you need. Do you have a concrete enquiry?